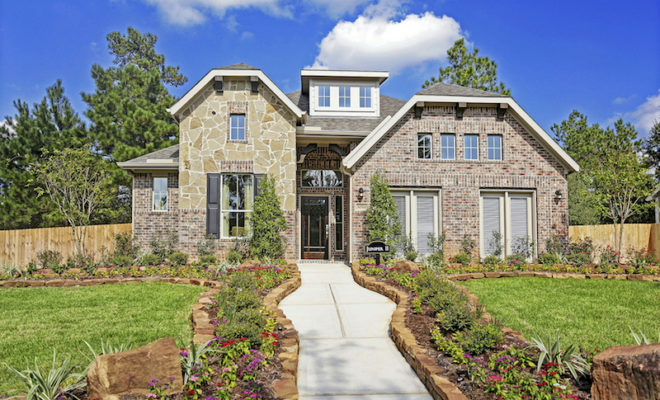 THE WOODLANDS, TX – The Howard Hughes Corporation® announced two additional homebuilders, Gehan Homes and K. Hovnanian® Homes, for The Woodlands Hills, Houston’s newest master planned community located 13 miles north of The Woodlands® in Conroe and Willis, Texas. Gehan Homes and K. Hovnanian Homes mark their entrance into The Woodlands Hills and their debut into the first bespoke master planned community developed by The Howard Hughes Corporation. The Woodlands Hills joins The Woodlands and Bridgeland®, two award-winning master planned communities located in the Greater Houston area in the master planned community portfolio of The Howard Hughes Corporation, a preeminent developer and operator of master planned communities and mixed-use properties. View the groundbreaking of The Woodlands Hills. Gehan Homes and K. Hovnanian Homes join Century Communities, Chesmar Homes, Ravenna Homes and Westin Homes as builders offering a diverse assortment of homes in The Woodlands Hills. New single-family homes will vary in in size, starting at approximately 1,400 square feet of living space and up, priced in the $200,000-$500,000 range. “We welcome Gehan and K. Hovnanian to The Woodlands Hills. The Howard Hughes Corporation is proud to be able to offer new homes from six renowned local and national homebuilders in our newest and first curated-from-scratch master planned community,” said Heath Melton, Vice President of Master Planned Communities for The Howard Hughes Corporation. Gehan Homes builds new residences in the Houston, Dallas-Fort Worth, San Antonio and Austin areas as well as in Phoenix, Arizona. Gehan Homes is ranked as the 12th largest private builder in the United States according to Builder Magazine. Gehan will feature its collection of new single-family homes on 55-foot homesites in The Woodlands Hills. K. Hovnanian Homes is a national homebuilder. Formed in 1959, K. Hovnanian Homes ranks as one of the top 10 homebuilders in America. K. Hovnanian Homes will offer its series of new, single-family homes on 55-foot homesites in The Woodlands Hills. Plans for the 2,000-acre development of The Woodlands Hills include approximately 112 acres of open space, 20 neighborhood parks and a 17-acre Village Park. An amenity center with event space and a fitness facility will highlight the recreation offerings in The Woodlands Hills. The community will include nine-and-a-half miles of hike-and-bike trails in addition to bike lanes along the major thoroughfares. “We envision The Woodlands Hills growing into a wholesome community where residents enjoy the natural surroundings and carefully curated amenities; where neighbors grow together; where connections are made; and dreams and journeys are shared together,” said Melton. Set around gently rolling terrain, The Woodlands Hills is located on FM 830 on the west side of I-45 with the property boundary extending north to FM 1097 and south to League Line Road. The forested community offers easy access to I-45, the Grand Parkway and the Hardy Toll Road. It is in close proximity to businesses and healthcare facilities in The Woodlands and surrounding areas, while providing an easy commute to George Bush Intercontinental Airport in Houston. The Woodlands Hills is also located near Lake Conroe, Sam Houston National Forest and the Lone Star Executive Airport in Conroe, Texas. The Woodlands Hills will celebrate its Grand Opening in Spring 2018. For more information and to register for updates, visit TheWoodlandsHills.com and like us on Facebook, Twitter and Instagram. PHOTO: Pictured is a representative photo of K. Hovnanian Homes, which has been announced with Gehan Homes, as the two newest builders in The Woodlands Hills.